Some reviews I've seen on the interwebs for WotRP. So this is a set of Beta rules? Really!? Because this whole game makes me want to sit down, grab some players, some dice, give out a few rule books as gifts, and play the hell out of this game as complete campaign. 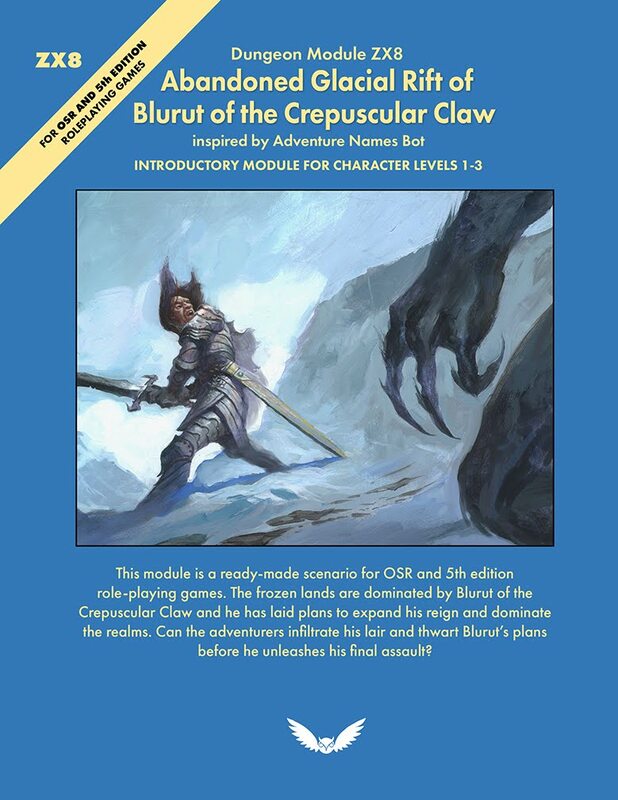 This book can be used as an addition too or as a stand alone game. My bottom line on Warriors of The Red Planet? Why haven't you purchased this book and are not playing on your Mars. 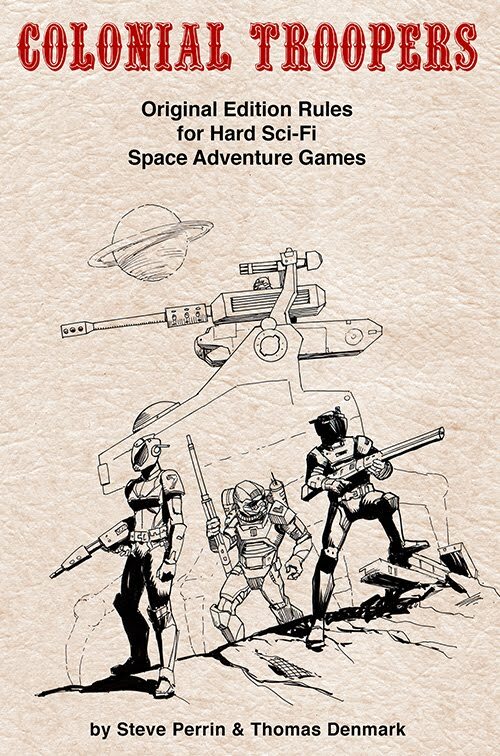 This book gives you the tool kit to get your own OSR Martian campaign going today! Was it worth the wait! Yes! It is a good game. I give it a 7 bumped to an 8 because it is treading newish ground, bumped back down to a 7 because no pdf/table of contents, bumped back up to an 8 because it is a beta. Also, @ Thomas Denmark if you are here- failing to release a product has exactly the impact on sales as it does on theft. Release the pdf. I can't even believe I have to say that in 2014. 2014, man. 2014. 2.0.1.4. What better way to start the new year than with one of the best pieces of D&D art ever made. This scene is just filled with great storytelling. 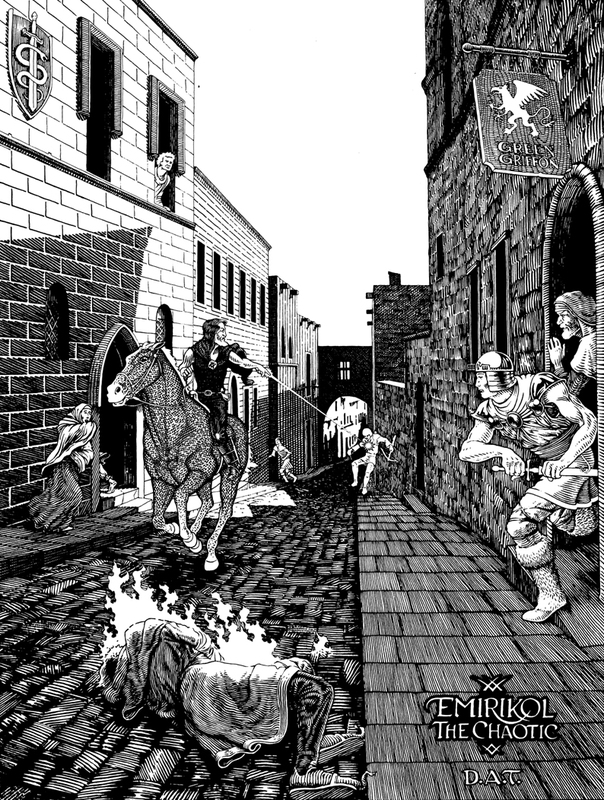 Why is Emirikol rampaging through the city streets? Who is Emirikol? Do those city guards have a chance against him? Not likely, as they are probably a little tipsy from being in the Green Griffon inn. I never get tired of looking at this picture. This new look is mostly about simplifying, and better organizing the bits on this blog. If you are viewing this through an RSS feed then you probably aren't getting to appreciate the spiffy new look. Click here and take a gander. This year I'd like to mix things up a bit more. 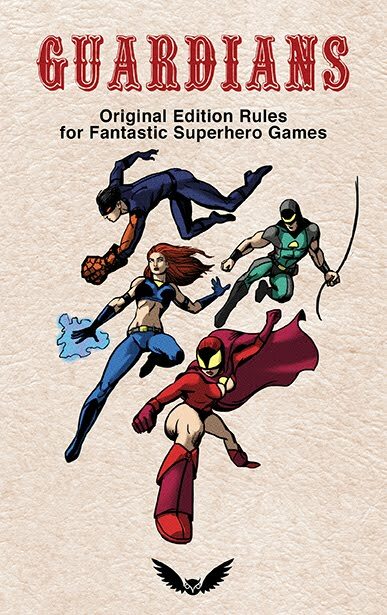 Many viewers of this blog are game designers, writers, and artists, both published and aspiring, as well as a lot of do-it-yourself types who've made their own self published games and books. I'd like to feature more things of interest to you. Tools to help you create your own games and adventures, interviews with professionals I know and have worked with over the years, more how-to articles, specific things like a new monster or artifact idea, as well as things of general interest. 2014 was a year of ups and downs for me. I was very glad to finally get Warriors of the Red Planet out and into your hands. Expect the PDF to be made available soon (it is probably the #1 request I get), and I'd like to get it into more venues and wider distribution this year. Expect some new products. I've learned my lesson about promising things too early, so I'll remain vague about them for now. But there'll be some old-school goodies put into new-school formats for your enjoyment. A lot of last year was spent planning, writing, designing, and making art. This will be the year of getting this stuff out there. I hope you had a great 2014 and will have an even better 2015! Cheers.